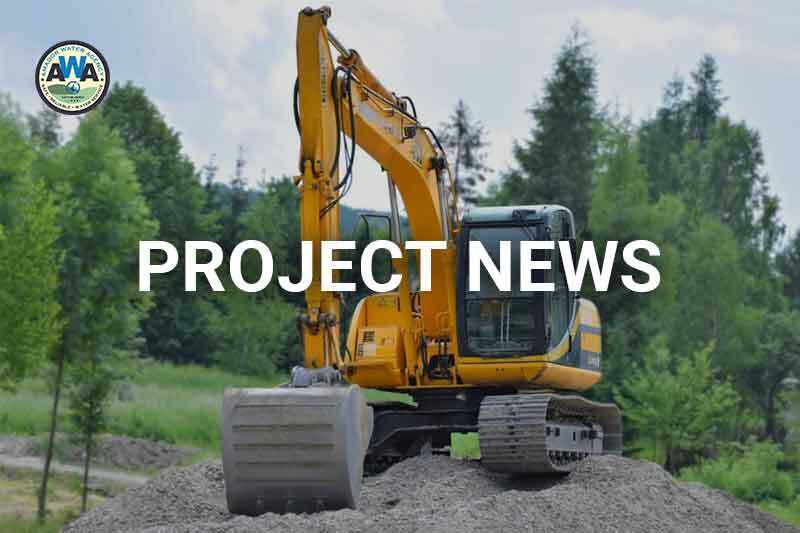 (Sutter Creek) Work has begun on a high-priority Mokelumne River watershed improvement project managed by the Upper Mokelumne River Watershed Authority (UMRWA), and the U.S. Forest Service/Stanislaus National Forest. UMRWA’s members include three counties and five water districts including the Amador Water Agency. UMWRA’s Pumpkin Hollow Restoration Project is the first in a series of Sierra watershed improvement projects designed to reduce wildfire risk, improve and protect the region’s water supply, air quality and wildlife habitat, reduce greenhouse gas emissions, and support local economies. Pumpkin Hollow is a 972-acre project near the headwaters of the Mokelumne River in the Stanislaus National Forest (near State Hwy 4). This area is a high-priority risk due to dense vegetation growth prone to wildfire and disease. Much of the work at Pumpkin Hollow involves thinning brush and removing small trees. Contracts for the Pumpkin Hollow Project were awarded to J&R Logging, Plymouth, for road maintenance and roadside fuel break; Tree Services Unlimited, Placerville, for plantation thinning and mastication; Summit Forests Inc., Ashland, OR, for hand treatments; and the Greater Valley Conservation Corps, Sonora (affiliated with San Joaquin County Office of Education), for scenic corridor hand treatments. Work is expected to be complete in late October. Creating space between healthy, mature trees reduces the spread of fire, improves water saturation of the soil, and slows evaporation of the winter snowpack. Maintaining the snowpack longer into the summer season improves the water supply downstream. Severe wildfires degrade downstream water quality by causing tons of topsoil to erode into streams and rivers, muddying the water and clogging water supply infrastructure and river habitat. Amador Water Agency is a member of UMRWA along with three counties and 4 other water districts. UMWRA secured a $500,000 grant from the Sierra Nevada Conservancy Prop. 1 Healthy Watersheds program, which is being matched by funds from the U.S. Forest Service to pay for the work at Pumpkin Hollow. By restoring and protecting the health of Sierra forests, streams and meadows through this and future projects, the partner agencies are working to preserve the important benefits the watershed provides. UMRWA members include Amador County, Amador Water Agency, Alpine County, Alpine County Water District, Calaveras County, Calaveras County Water District, Calaveras Public Utility District, East Bay Municipal Utility District, and Jackson Valley Irrigation District.